Big retailers like Walmart, Best Buy and Target may command the headlines on Black Friday, with their $300 laptops and $200 flatscreen TVs and crowds camping out overnight for the best deals. But don't count out the mom-and-pops, who are fighting back with deals of their own on the second-annual Small Business Saturday. Across the nation, small retailers are armed and ready for what they hope will be their biggest shopping day of the year: Small Business Saturday. Sandwiched between the powerhouse Black Friday and Cyber Monday, Small Business Saturday was created by American Express, which offers registered customers a $25 credit if they spend $25 or more on their American Express card at a participating small business on that day. This year, President Obama endorsed Small Business Saturday describing it as a way to "keep our local economies strong and help maintain an American economy that can compete and win in the 21st century." "Research shows that the holiday season makes up for the bulk of small businesses' yearly sales," says Patricia Norins, an independent consultant and Small Business Saturday shopping expert for American Express. "Right now, retailers are looking for as many ways as possible to drive traffic to their stores." With projections that 90 million consumers will be out shopping this Small Business Saturday, Norins calls this "a huge opportunity." Norins has talked to small-business owners who are planning everything from balloons and banners to Santas and tree lightings. Many are joining forces to produce shopping maps of participating local businesses or offering cross promotions such as handing out different free cookies at neighboring stores. Norins believes this type of momentum can translate beyond the day to connect customers with local businesses year-round. "Consumers have a huge opportunity to find unique products and personalized customer service," she says. "It instills a sense of community, which is important on a local and national level -- more money stays in the community and more jobs are created." We talked to eight small retailers nationwide to find out how and why they're going above and beyond to attract shoppers this Small Business Saturday. 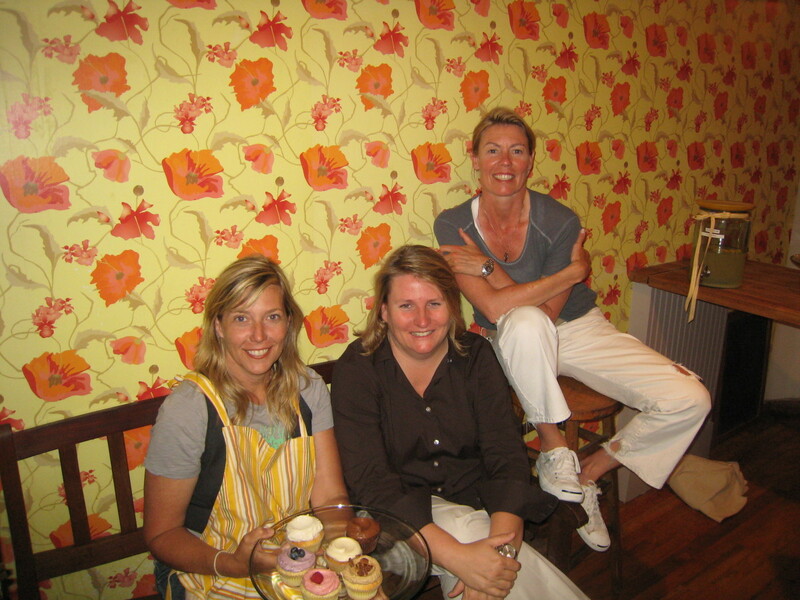 <strong>Owners:</strong> Linda Lea, Maria Baugh and Pam Nelson <strong>Promotion:</strong> $5 off a dozen cupcakes (usually $30). Last year, with the same promotion, they saw a 50 percent sales increase on Small Business Saturday. <strong>How To Maximize Sales on Small Business Saturday: </strong>"It's not too late to start really pushing," Baugh says. "Have signange up in your store, make sure customers have something like a postcard to take with them. Get the word out through social media. Tell everybody, post and tweet and shout it from the rooftops. Train your staff. You have to explain exactly how it works. There's a little bit of educating the customer involved, so make sure your staff can answer questions. We have a bonus plan for staff -- whoever gets the most people to sign a card and come in gets a bonus, which is a big incentive. Offer a popular item as a special -- if you throw in something for the customer, you'll get back so much more." <strong>Why Baugh Likes Small Business Saturday:</strong> "We're marketing much more aggressively this year. AmEx has provided a lot of tools for small business -- we downloaded a lot of marketing materials and we hired NYU students to walk around and hand out postcards to make sure people know about this promotion. We've been tweeting and posting, doing email blasts. We want to increase sales by more than 50 percent. Our slogan is 'march to a 1,000' -- our goal is to have 1,000 people come in and use their AmEx card that day. "This just really helps give small businesses a leg up. Big box stores by their nature have so many advantages. They actually have marketing budgets and have teams to promote what they're doing. They can sell in volume and do all kinds of things that small businesses can't. They own Black Friday. Then Cyber Monday came along. AmEx was super smart to say 'what about the little guys?' especially in this economy. It has been extremely tough. We started three years ago, in the heart of the recession, and we've worked like dogs and we're doing okay, but a lot of businesses aren't, no matter how hard they work. This will probably be a make or break season for a lot of businesses, and there's no better time to get this support."